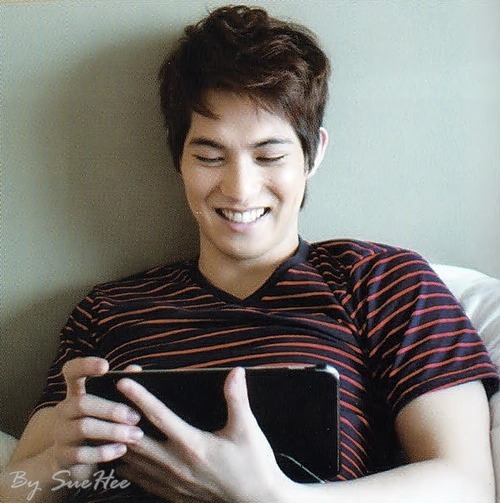 Lee Jong-hyun was born on May 15, 1990, in Busan, South Korea. His family consists of his parents and 2 older sisters. He lived in Busan before his family moved to Japan when he was four years old. His family moved back to Busan and he finished his elementary school and middle school there. In 2010, he was the second generation member in the BEST NINE SCHOOL ULZZANG (meaning #2 ulzzang), with another CNBLUE member Jung Yong-hwa, Block B's Jaehyo, Lee Joon, and BAP's Himchan, who were the first, third, fourth and fifth generation members respectively. The talent scouter from FNC Music (currently known as FNC Entertainment) who visited Busan to see Yonghwa, came across Jong-hyun in the street, and suggested scouting immediately. On his way to his audition, he met his current fellow CNBLUE member Jung Yong-hwa at the Seoul Station. They then met Kang Min-hyuk, also a current fellow member of CNBLUE, at FNC Music where they auditioned. Eventually, only the three of them passed the auditions and Lee began training in bass technology at FNC Academy. Before Lee embarked on his musical career, he was a judo athlete who won a gold medal in a judo championship amongst athletes in his hometown when he was in high school. However, he decided to give up on sports upon realizing that this was not the field that he would excel in after losing in a match in just a few seconds. He then started to focus on music. At first, he learned singing, then piano. Then, upon watching an English singer-songwriter and guitarist Eric Clapton playing the guitar, he was inspired to learn to play the guitar. 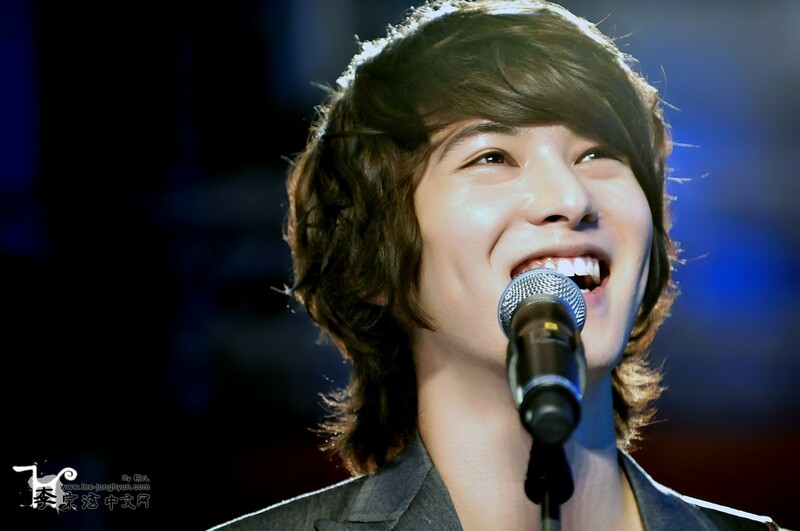 Lee debuted with CNBLUE in South Korea on January 14, 2010 with their lead single "I'm a Loner". Before their Korean debut, they debuted as an indie band, with Lee being the leader, in Japan in August 2009. Jung Yong-hwa then took over his place following the band's Korean debut. They made their major debut in Japan in October 2011. Lee, together with Jung Yong-hwa, has also been making significant contributions to the band by composing songs which were released in Japan and Korea. He composed songs such as "Blind Love", "Lie", "Rain of Blessing", "Kimio", "My Miracle", "Come On", "No More", "These Days" etc., which all gained positive feedback. "Come On" ranked number 5 in Oricon's Weekly singles chart while "Blind Love" ranked number 4. "Get Away", one of his compositions, was used as ending theme song for Japanese broadcast of American TV series Gossip Girl. Jong-hyun revealed that he composed "These Days" when he was a trainee. Lee sings "My love" OST for SBS Drama A Gentleman's Dignity which he starred in. The OST song was Lee's first solo release since debut as singer. The OST charted high on various Korean digital music charts for many weeks and become one of most popular Korean Drama OST in 2012 and win him OST Award from Seoul Music Award. "My Love" placed No.6 on Billboard K-POP Hot 100 2012 Year End Chart and placed No. 15 on South Korea's National Gaon Yearly Single Chart. Lee and his fellow label-mate Juniel formed a duo called "Romantic J" and released a Winter Special Digital Single Album with the single "사랑이 내려 (Love falls)". The song was composed by himself and written by Juniel. The teaser for the MV was released on December 5, 2013 at 12AM KST and the full MV was released on 12NN KST at the The FNC Official channel. Together with the MV, the making, commentary by Romantic J and CNBLUE's Lee Jung-shin, and the recording films were released. The song peaked #27 at Melon chart. Romantic J recorded their debut stages at Simply KPOP", M-net M! Countdown, and SBS MTV The Show. 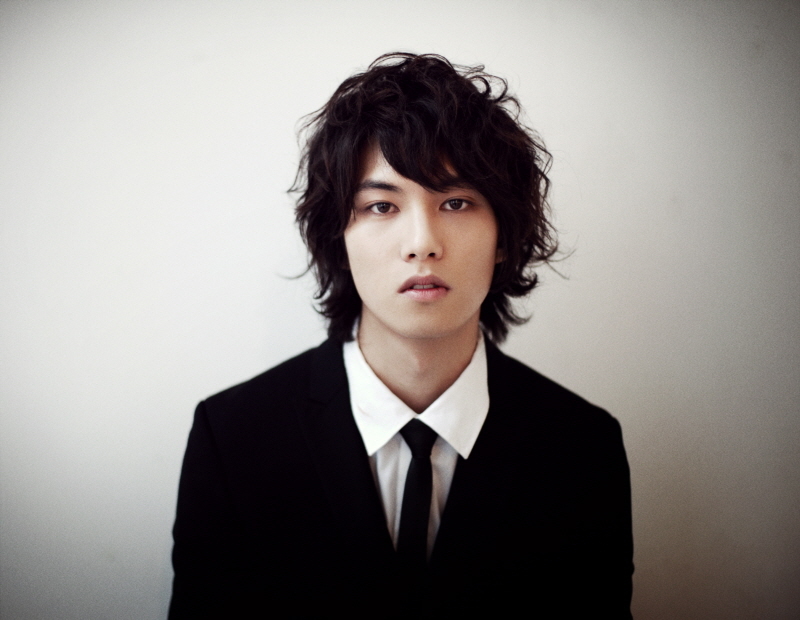 In 2010, Jong-hyun made his acting debut as Kim Seong-won in an omnibus film Acoustic which was released on October 28, 2010. 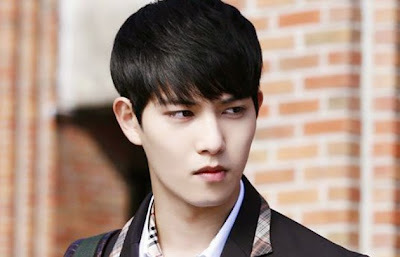 Jong-hyun acted alongside fellow CNBLUE member Kang Min-hyuk who played his brother Kim Hae-won in the second part of the movie called "Bakery Attack". The movie revolves around the story of two brothers who love music but could not make ends meet with it. The older brother decided to sell his guitar but his younger brother accidentally lost it. They found the guitar in a bakery in Hongik University and learned new insights about music from the bakery owner. On May 27, 2012, Jong-hyun made his small screen debut in SBS weekend drama A Gentleman's Dignity with Jang Dong-gun, Kim Ha-neul, Kim Min-jong, Kim Su-ro and Lee Jong-hyuk. In July 2013, Jong-hyun made a cameo appearance as an important character in KBS2 Adolescence Medley. He also made cameo appearance in 2014 web drama One Sunny Day starring actor So Ji-sub. And for the latest drama, Jong Hyun stars in "Orange Marmalade" along with Yeo Jin Go, Seol Hyun and Ahn Kil Kang as Han Shi Hoo. Jong-hyun primarily uses a range of Marshall and Orange Amplifiers, notably JVM410 and JCM2000 TSL models when on stage. 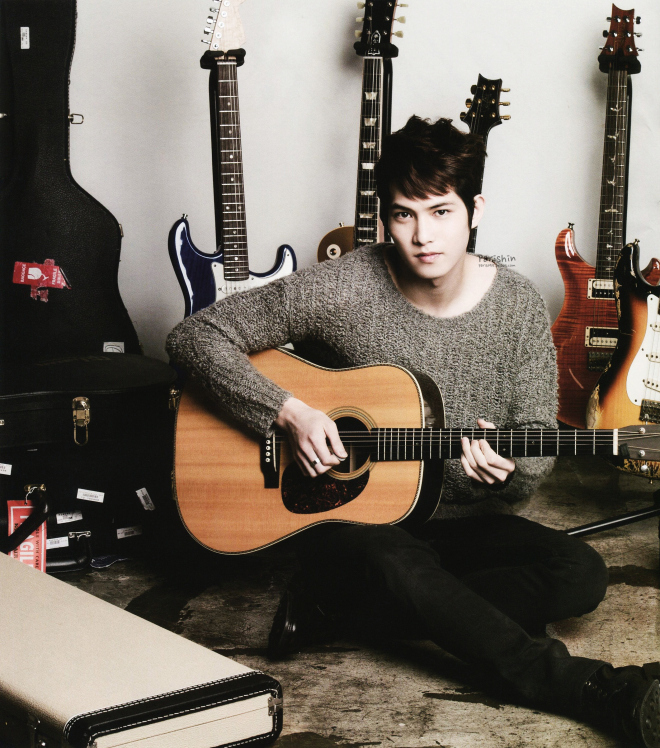 Jong-hyun uses a variety of guitars, including a PRS Artist V, a Paul Reed Smith Custom 22, a Gibson Les Paul Historic Reissue Goldtop, a Carvin Custom, a Martin HD-28V Acoustic and a Tobacco Burst Fender Stratocaster. Yeah! finally this man caught my eyes with his dimple smile... before I was too busy looking at Jung Yong Hwa (well I mean within the CNBlue's members of coz) hahaha. So, now it's time for eyes refreshment. Ready!